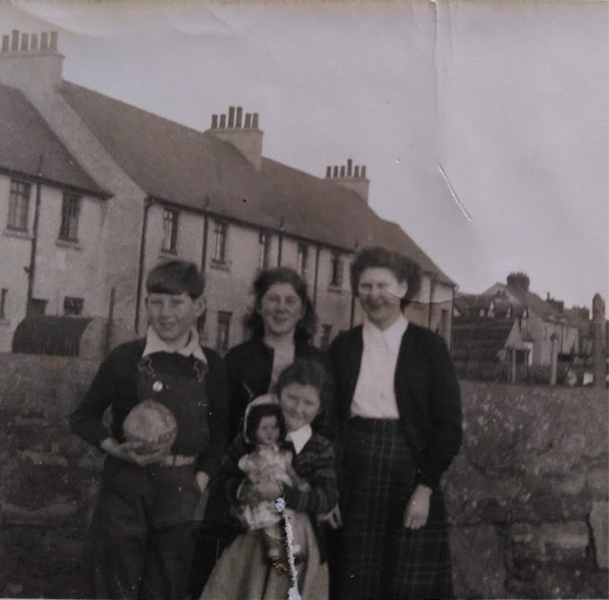 My uncle Don, aunt Ivy, aunt Chrissie (or Elsie) and my mam Kathleen at the back of our house in Outram Street. The picture was taken sometime in the 1950s. I remember Ivy. They are standing behind Nellie Blyes house on the patch of grass beside Shore road.